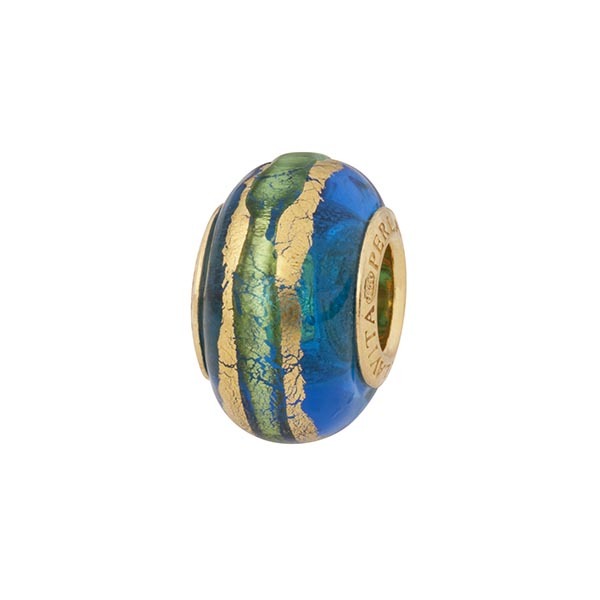 This PerlaVita bead is part of our SolÈ line which showcases external 24kt gold foil mixed with swirling colors, which in this case, is a mix of aqua Murano glass surrounded by vermeil inserts. Rondel shaped with approximate dimensions of 14mm x 10mm and a 5mm hole. 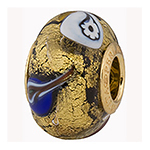 Compatible with most brands of European bead jewelry including Pandora Jewelry, Chamilia, Trollbeads, Biagi, LoveLinks. Genuine Murano glass. Complete with authenticity card.